What do you do between loads of laundry? Today I did a T25 workout. And it kicked my booty. It was one I haven't done before - Core Cardio. I certainly got the cardio part out of it, but I didn't really feel it in my core like I hoped. So I followed it up with some ab exercises. Then I did some arm strength since I was a slacker after my track workout yesterday and got straight in the shower when I got home. Tomorrow is long run day. The plan is to make it a family outing. These are my favorite runs because I get surprised by my favorite little faces throughout my run. Since my long(ish) run is tomorrow, today is a rest day from running. 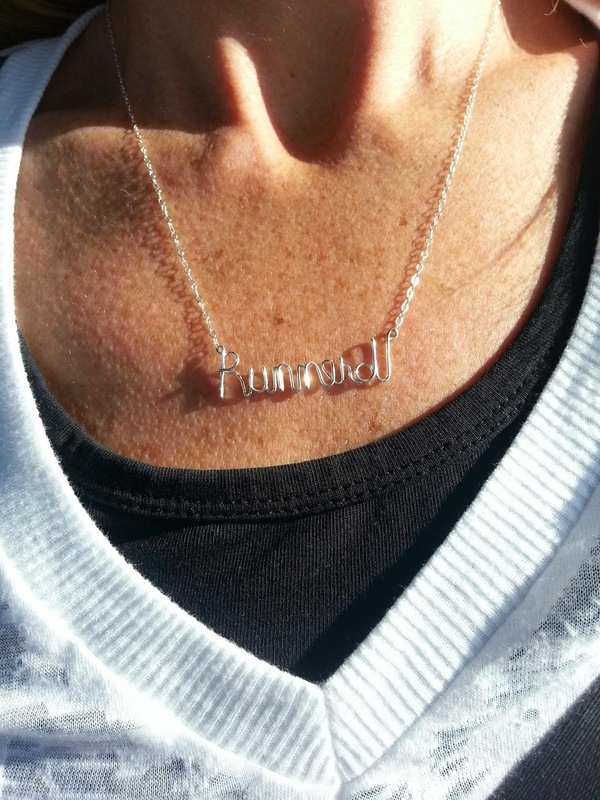 However I made sure to own my runnerdness, thanks to some of my amazing friends who gave me the cutest runnerd necklace for my birthday. Do you have a long run this weekend? Or other fun plans?